It comes out to about 9.3 centimeters tall (3.7 inches). 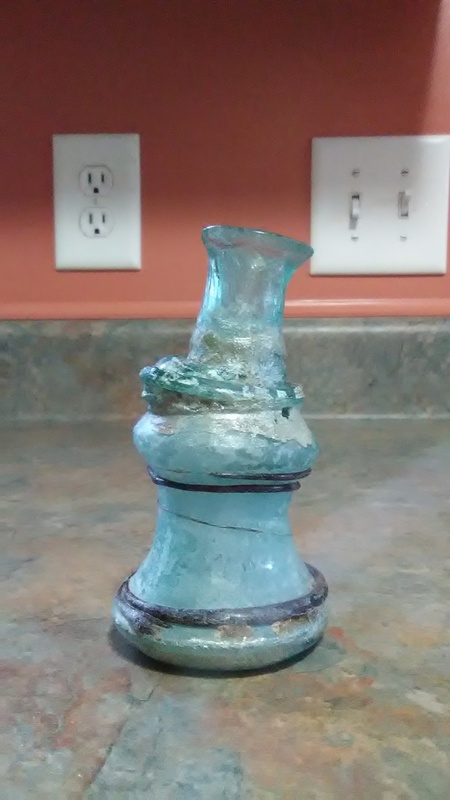 The bottle was blown, has very thin glass, a trumpet-like lip, and an pontil mark on the base. 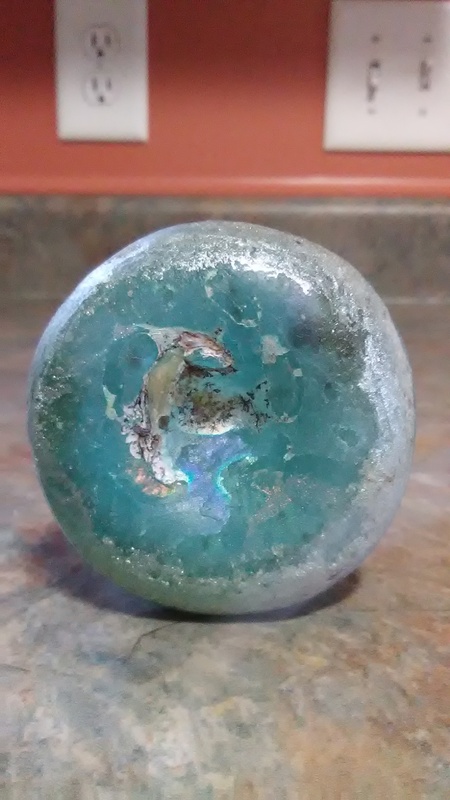 It also exhibits thin strings of applied glass in a darker colour: almost black, but maybe a deep blue? 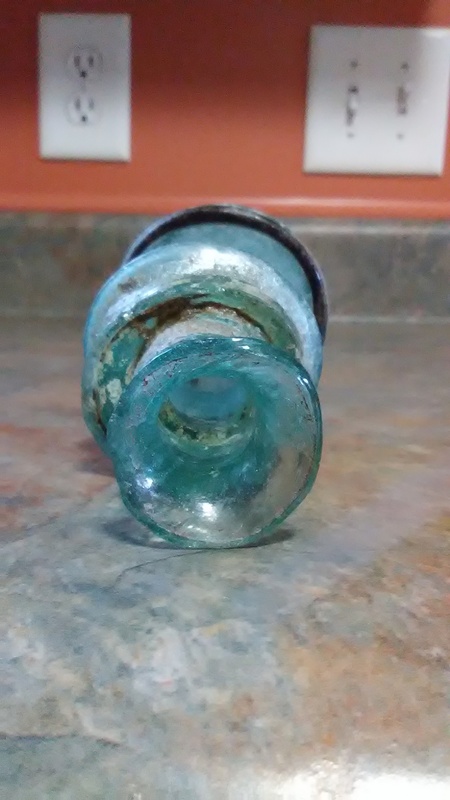 The collar where the neck meets the body is made of the same colour glass as the bottle. A fun characteristic is the stretch-marks in the neck, as they twist. Robby Raccoon Against the World. Page created in 0.245 seconds with 22 queries.